IN PARTNERSHIP, SELLAFIELD LTD., WESTINGHOUSE ELECTRIC UK, AND FAUSKE & ASSOCIATES, LLC HAVE CONCEIVED, MODELED AND EXPERIMENTALLY VERIFIED AN INNOVATIVE SOLUTION TO THE PROBLEM OF HYDROGEN REMOVAL FROM SHIELDED CONTAINERS WITH SIGNIFICANT HYDROGEN GENERATION RATES. THIS SOLUTION PERMITS PASSIVE STORAGE OF SPENT METALLIC NUCLEAR FUEL AND ZEOLYTES IN A SHIELDED CONTAINER THAT IS VENTED BY A PRACTICAL NUMBER OF COMMERCIALLY AVAILABLE FILTERS. Nuclear wastes that contain metallic spent nuclear fuel pieces or sludge generate hydrogen through radiolysis and chemical reactions. These waste materials may be stored in shielded boxes with filtered vents for removal of the hydrogen to prevent formation of flammable gas mixtures. Commercially available filters are designed for applications without shielding, such as to fit the bung (opening) of a 200 L drum. Bore holes drilled through shielding add resistance to hydrogen removal that can allow unwanted hydrogen accumulation. This article explains the hydrogen accumulation problem and offers a proven solution. 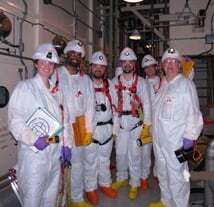 The innovative work described here was performed by Fauske Associates, LLC, a wholly owned subsidiary of Westinghouse Electric Company, LLC, in partnership with Sellafield, Ltd. In partnership, we have conceived, modeled, and tested an effective method for hydrogen removal from shielded boxes with significant hydrogen rates. This hydrogen removal method minimizes the number of filters required for passive storage of spent metallic nuclear fuel pieces and zeolites. 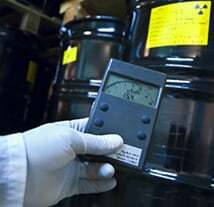 According to Martin G. Plys, ScD, Vice President, Waste Technology and Post-Fukushima Services at Fauske & Associates, LLC,: "A number of manufacturers supply filters that are suitable for removal of hydrogen from unshielded nuclear waste containers such as 200 L drums. The rate of hydrogen removal through a filter varies with filter size and materials. The key filter specification provided by the manufacturer is known as the filter coefficient, expressed in units of moles hydrogen per second per mole fraction difference across the filter. Typical values range from 10-5 to over 2x10-4 moles/s/mole fraction. The size of filter for a given application is chosen based on the hydrogen concentration: either the lower flammability limit (LFL), 4% hydrogen in air) or the more strict criterion of 25% of the LFL, (which is 1% hydrogen in air). Shielded containers are made of much thicker materials than conventional containers. In order for the hydrogen to escape from the container, it must first pass through a channel drilled into the shielding material (the flow path) then through the filter and out into the surrounding atmosphere. The rate at which hydrogen escapes from the container depends upon the difference in hydrogen concentration between the two sides of the filter. Because shielding keeps the fuel, and the bulk of the hydrogen, away from the filter, the hydrogen flow rate through the filter is reduced. So, removal of hydrogen through any filter is less effective in a shielded container than it would be for the same filter on an unshielded container. 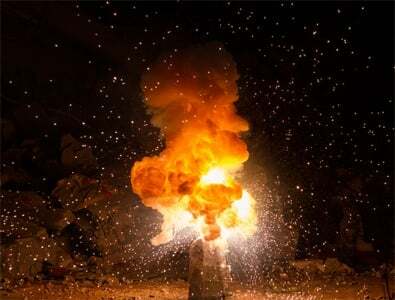 Hydrogen removal from shielded containers poses a greater problem in some cases than others. For systems where the hydrogen source is radiolysis, this is usually not an issue. However, for systems where the hydrogen source is chemical reactions, the source rate is typically much larger than from radiolysis, and this might make hydrogen removal impractical. For example, a shielded container with a bore hole of 20 mm diameter and 300 mm length drilled through the shielding would allow hydrogen to escape at only one-tenth the rate that it would in an unshielded container (in engineering terms, the system efficiency is 10%). As a consequence, the number of filters required would increase tenfold." Continues Plys: "The key to hydrogen removal from a shielded container is to reduce the flow resistance such that the filter is the main resistance. 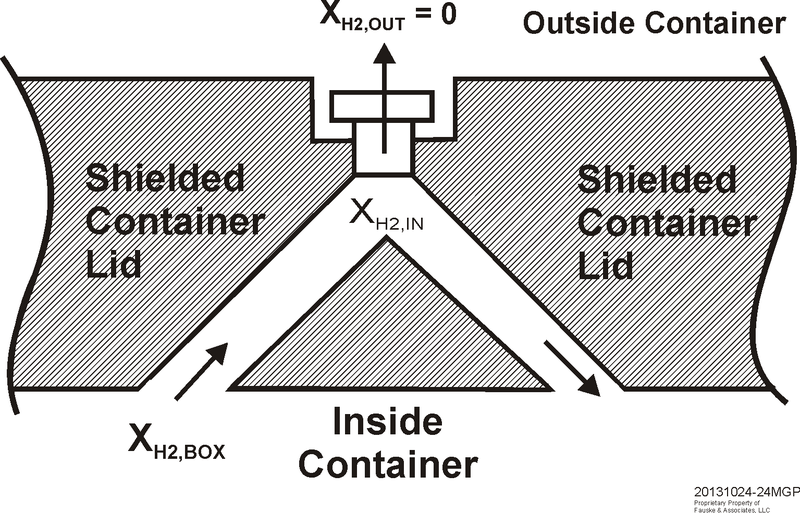 Consider an arrangement to promote hydrogen circulation to the filter via a pair of bore holes in the shielded container lid, Figure 1. The hydrogen concentration in a plenum immediately on the inside of the filter is lower than the hydrogen concentration in the container so the density difference induces circulation. Gas from the container flows up one of the bore holes into the plenum beneath the filter and then down the other bore hole, returning to the container. 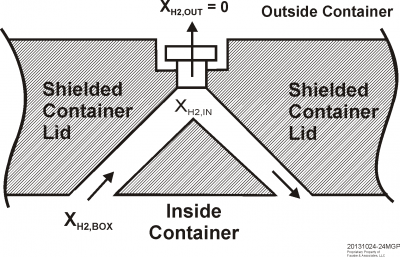 In Figure 1, the bore holes are indicated on an angle for shielding purposes, and in practice a double-angle design would be used to prevent a direct straight line path through the container lid. We have performed modeling for this design which demonstrates that the efficiency of the double bore system can be in the range of 80% to 90%, depending upon the geometry and the hydrogen concentration in the container. Thus, the number of filters required for a given application may be, for practical purposes, unaffected by the extra resistance offered by the shielding, and at worst it is only weakly affected. 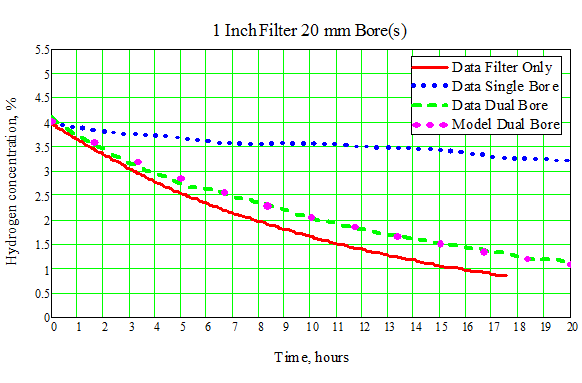 We have confirmed the expected performance of the dual-bore design through experiments for different filter types and variation in hydrogen concentration. An example comparison of a priori expectation versus actual system data is shown in Figure 2." (See attachment for Figure 2). Founded in 1980 by Hans Fauske (D.Sc. ), Michael Grolmes (PhD) and Robert Henry (PhD), Fauske & Associates, LLC (FAI) became a wholly owned subsidiary of Westinghouse Electric Co. in 1986. FAI assumed early leadership roles in the acclaimed DIERS program for AIChE and the IDCOR program for the nuclear power industry. 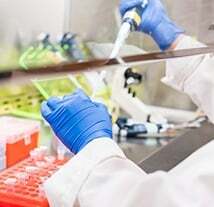 These activities led to state-of-the-art methodology and laboratory tools for characterizing chemical systems and computer models for analyzing severe accidents in commercial nuclear power plants used worldwide. 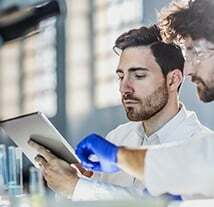 Recognized worldwide for phenomenological modeling related to the prevention and accommodation of chemical and nuclear power accidents, FAI also provides advanced training and research in physics, chemical engineering, mechanical engineering, nuclear engineering, computer science and other fields. FAI has several fully staffed laboratories supporting: EQ, CHAMP, full-scale thermal/hydraulics experiments, and basic physical sciences. FAI has a 10CFR50 Appendix B Quality Assurance (QA) Program and is ISO- 17025/IEC, ISO-9001 and TickIT certified. In addition, FAI is an Authorized Provider of IACET CEUs.